Discover how your body’s natural state is light, fluid, supple and flexible. Learn how to be strong without the need for strength leading to a very different experience of moving with ease and balance. What makes Sukhita Yoga different? The Sukhita yoga method works with the natural energetics of the body. It reveals how its natural state is light, fluid, supple and flexible with an inherent integrity and support quite different to our traditional thoughts of strength and movement. We do this by cultivating a subtle awareness through mindfulness beyond simple awareness of the body and breath that works with the root causes that block our use of this energetic body. The instructions are simple, and easily grasped. Applying them is an evolving exploration that brings glimpses of a forgotten experience of our body from our distant past. Through this subtle awareness comes a deeper understanding of ourselves and how we have chosen to be self-limiting in the past and the choice we have to be different in the present. 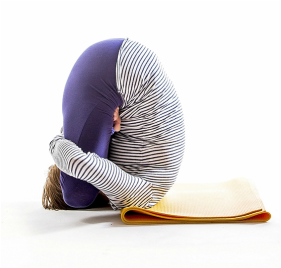 Through a wide variety of yoga postures we explore patterns of holding and bracing that we mistake for ‘support’ that prevents the free movement of our body. As we develop a familiarity with the energetic body we realise this deep seated tension is not only unnecessary but is an integral part of what limits us. As we begin to slowly release this and replace it with our natural energetic support we intuitively recognise the patterns of holding within our mind associated with the physical feeling in our body. In this first step we initiate the compassionate route to healing and balance. Through continued practice and study we develop the capacity to see the body as a map of our mind and develop a new sense of physical, mental, emotional and spiritual integrity and support that is the path of practice. Hugh’s unique style of Sukhita teaching has won admirers internationally for its direct and relevant self-referencing approach. Described as subtle and immediately effective, it expands the physical practice into a whole body mind dynamic that breaks through mental and physical limitations. This distinctive somatic approach is very dynamic yet non-aggressive and cultivates implicit compassion as part of the physical practice. Minimising the possibility of injury whilst encouraging expansion to the limit of our capacity, the insight it brings cultivates an experience of Yoga that becomes self-teaching, self-correcting and self-healing. Mindfulness Courses | Integrated Yoga and Mindfulness Courses | Mindfulness Extension Courses | Retreats | Workshops |Teacher training |Yoga Classes. One of the UK’s most experienced mindfulness teachers, his work is referenced in Mark Williams’ bestselling book “Mindfulness: a practical guide to finding peace in a frantic world”. Hugh is a Senior Yoga Teacher with the Yoga Alliance UK and an E-RYT with Yoga Alliance US. Sarah’s commitment to yoga was set in motion at her first retreat. She realised immediately that she wanted yoga to be a foundation for her way forward, little knowing that she would herself be qualifying to teach with the Freestyle Yoga Project in just a couple of years. Sarah’s teaching has been influenced by FYP’s contemporary take together with the more traditional styles of Danny Paradise, John Scott, Manju Jois, Liz Lark, Reema Datta and the teachers at Jiva Mukti. The approach introduced to her by Hugh Poulton together with the tranquil wisdom meditation teaching of Sister Khema and the voicework of Patrissia Cuberos have been transformative. She is inspired by her students’ willingness to work with real limitation and the innovation, frankness and plain fun shown by the children she teaches. Sarah started teaching retreats with Hugh in 2014. Her innovative and fresh perspective have brought a contemporary relevance to and expansion of the teaching of Sukhita yoga and she is currently developing an Sukhita programme for children. Her teaching helps create focus in both body and mind, while building core strength and developing a light, joyful practice.